This historic packet port is tantalising to approach, with tongues of sheltered water stretching away in all directions. To starboard St Mawes village looks exquisitely English, like a colonial outpost in a far-flung land. Straight ahead, Carrick Road glides up to Mylor Yacht Harbour and the Truro and Fal Rivers (pictured above). To port past the dockyard lies Falmouth itself, with Port Pendennis next to the Maritime Museum and Falmouth Haven off the town quays. Further upstream, Falmouth Marina (pictured below) is a safe place to leave a boat. Falmouth’s old winding streets give unexpected glimpses of the harbour, which has tourist launches, ferries, tugs, fishing boats and large ships moving about. Be sure to stroll out to Pendennis Point for views across Falmouth Bay and along the coast past Helford River. Channels Creek is a shallow inlet on the Fal two miles above Mylor Yacht Harbour. Anchor off its mouth just above Turnaware Bar. The Shed is a lively bistro behind Port Pendennis. Hunkydory Restaurant is near Falmouth Haven in Arwenack Street. Don’t miss Castaways Bistro at Mylor Yacht Harbour. 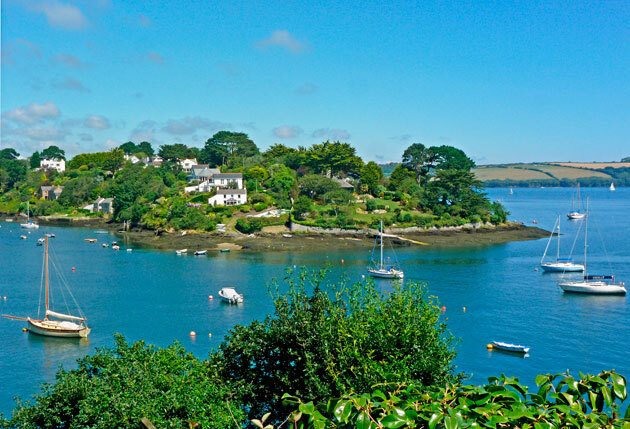 From Falmouth, take the ferry to Flushing and walk there around Trefusis Point. From the north end of High Street, climb to The Boathouse on Beacon Street for great views, beers and cooking. 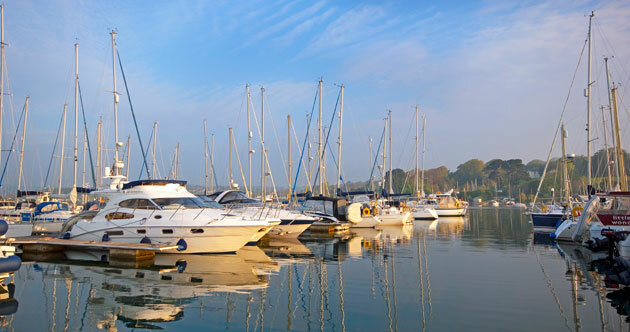 I like The Seven Stars over in Flushing village – take the dinghy or harbour ferry.